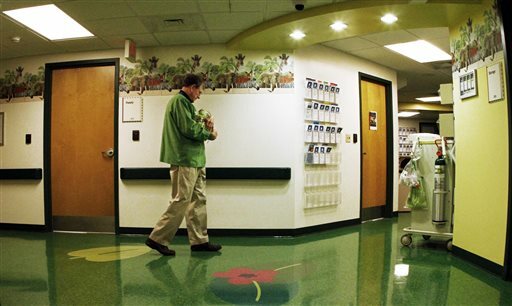 At the East Tennessee Children's Hospital in Knoxville, roughly half of the neonatal unit's 49 infants are being treated for drug dependence. For those infants, the pain can be excruciating. KNOXVILLE, Tenn. — He’s less than 2 weeks old, but he shows the telltale signs of a baby agitated and in pain: an open sore on his chin where he’s rubbed the skin raw, along with a scratch on his left check. He suffers from so many tremors that he’s been placed in a special area so nurses can watch him around the clock in case he starts seizing — or worse, stops breathing. The baby is one of many infants born dependent on drugs. He is being treated at East Tennessee Children’s Hospital in Knoxville, where doctors and nurses are on the front lines fighting the nation’s prescription drug epidemic. Drug abuse in the state is ranked among the nation’s highest, according to some estimates, a fact underscored by the number of children born with signs of drug dependence. In 2008, East Tennessee Children’s Hospital treated 33 infants at the hospital for drug dependence, known as neonatal abstinence syndrome. Officials there expect that number to skyrocket to 320 this year. 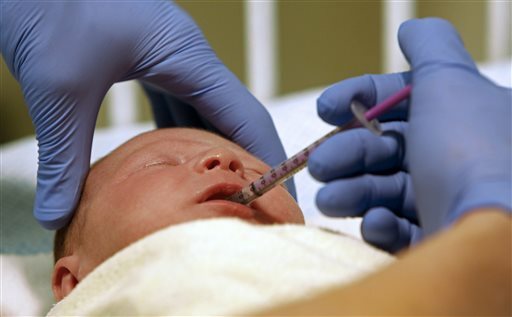 Since 2008, the hospital has treated 538 infants who are dependent on drugs. Last year, the hospital treated 283 babies suffering from dependence. In most cases at the hospital, which specializes in treating drug-dependent infants and has shared its methods with other facilities nationwide, mothers had abused prescription painkillers or anti-anxiety medicines while pregnant, including hydrocodone, oxycodone, Xanax and Valium. States across the U.S. have passed laws to crack down on prescription drug abuse, including in the Appalachian region, where the drugs were easily available as they flowed north from so-called “pill mills” in Florida. Federal authorities have stepped up prosecutions, and states including Kentucky and West Virginia have passed laws in an effort to curb the problem. Tennessee also is working swiftly to get a hold of the crisis, through both new laws and education about the dangers of abusing drugs while pregnant. It also is believed to be the first state to require all health care facilities to report every instance of a baby born dependent on drugs, according to Tennessee Health Department officials. The federal government doesn’t track the number of babies born dependent on drugs. And until now, the state could provide only estimates because testing for drugs in a baby’s system can’t always tell whether the infant suffers from dependence. The state estimates that nearly 1,200 drug-dependent babies have been born in Tennessee in 2010 and 2011, the last two years where data is available. State Health Department records show that drug-dependent babies were hospitalized 55 times in 1999, a figure that increased to 672 in 2011. Compounding that is the fact that the most recent data shows only Alabama and Oklahoma have higher rates of narcotic use, according to Express Scripts, the nation’s largest pharmacy benefits manager. The figures nationally are equally sobering: A study published last year in the Journal of the American Medical Association found that more than 13,000 infants were affected across the U.S. in 2009. 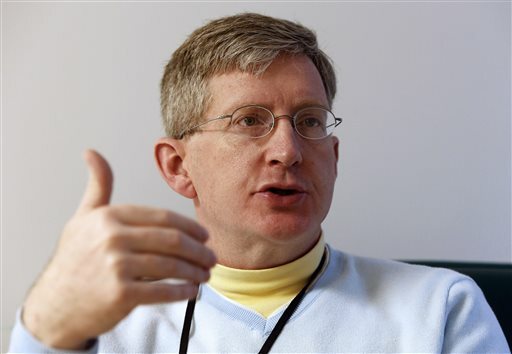 Tennessee is the first state to track the number of babies born dependent on prescription drugs, said Stephen W. Patrick, a neonatologist at the University of Michigan and one of the authors of the study. “It’s important for us to understand in as near real time as we can the scope of this epidemic as it relates to babies born dependent on addictive drugs,” Tennessee Department of Health Commissioner John Dreyzehner said. Dreyzehner, a medical doctor who practiced both occupational and addiction medicine, ordered all medical centers in the state to report every case of drug-dependent newborns. The prescription drug epidemic that is sweeping the country began in Appalachia, Dreyzehner said, and Tennessee is in crisis because significant portions of the state are in that region. But other states, he said, are now starting to see problems with the babies as the pill epidemic moves outside its epicenters. Officials have been estimating based on discharge data that showed symptoms that babies suffered while in a hospital. Now they’re going to get real-time data to see how widespread the problem really is in the state. Part of the solution is better education — the health commissioner is part of a group lobbying the Food and Drug Administration to put a warning on prescription drug bottles of the dangers of taking drugs while pregnant. The preferred way to treat drug-dependent babies at the Knoxville hospital is by giving them small doses of an opiate and gradually weaning them off, said Dr. John Buchheit, who heads the neonatology unit at East Tennessee Children’s. So every few hours, the staff will give the infants morphine to help them get their symptoms of withdrawal under control. They’ll be weaned off over a period of either days or weeks, Buchheit said. However, there is little research showing the best ways to treat such infants, or how they may be affected long-term. On average, infants stay at the hospital for about four weeks’ time because they have to be watched so closely. All that extra care adds up. Figures from TennCare, Tennessee’s Medicaid Program, show that it costs on average $62,973 to treat a baby with NAS compared with $7,763 for the care of an infant who is not dependent. The influx of cases forced the hospital to develop its own set of protocols for treating infants, and those have been shared with other hospitals nationwide, Buchheit said. “They have a well-oiled machine,” said Patrick, one of the authors of the national study, said of the Knoxville hospital unit. And it has to be: Roughly half of the neonatal unit’s 49 infants are being treated for drug dependence. For those infants, the pain can be excruciating. The doctors and nurses who treat them say the babies can suffer from nausea, vomiting, severe stomach cramps and diarrhea. “Diarrhea so bad that their bottoms will turn red like somebody has dipped them in scalding water and blistered and bled,” said Carla Saunders, a neonatal nurse practitioner who helps coordinate the treatment at the children’s hospital. They have trouble eating, sleeping and in the worst cases suffer from seizures. Many suffer from skin conditions and tremors. Nurses place mittens on their hands because the babies get so agitated that they constantly scratch and rub their faces. A small army of volunteers called “cuddlers” help the staff by holding the infants, rocking them and helping them ride out their symptoms. Many of the babies have private, dark rooms with high-tech rocking machines to keep them calm. Bob Woodruff, one of the 57 cuddlers the hospital relies on, gently rocks Liam, a 10-day old infant who was born drug-dependent. Liam sleeps soundly in the 71-year-old retired University of Tennessee professor’s arms. Woodruff moves from room to room, wherever he’s needed. He’ll swaddle the babies tightly, walk with them if it seems to settle them down or just let them feel a loving touch. It is impossible to be unmoved by these infants, said Saunders, the neonatal nurse practitioner.